The Commonwealth Youth Council (CYC) is an pan-regional youth platform made up on representatives from national youth councils from the 53 members of the Commonwealth of Nations. 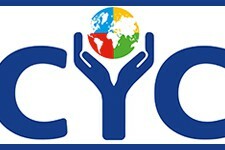 The CYC, "aims to further advance the youth development agenda; and to ensure a relevant, vibrant, effective, and prosperous Commonwealth in the 21st century and beyond." The current priority areas are: climate change; peace building and countering extremism; youth entrpreneurship; health and youth work. The CYC represents 1.2 billion young people from across Commonwealth countries and is supported by the Commonwealth Secretariat. Membership of the CYC is open to representative and democratic youth-led organizations from Commonwealth member countries. Members are often represented at official CYC sessions and events by National and Regional Delegations, selected by each Member State. The Executive Board, which is elected at the biennial General Assembly (held at the Commonwealth Youth Forum), is responsible for the daily operations of the Council. For young people, participation in the CYC is primarily through national youth councils. The Strategic Plan 2014-2016 highlights a number of campaigns and programmes, which will seek to engage young people from across the Commonwealth.